A beautiful but unhappy high society lady. An advertiser in charge of a radio programme in search of missing people. A tycoon with good political contacts willing to consolidate his empire. A young man tracking his origins. 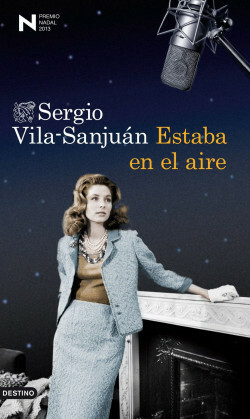 Winner of the 69th edition of the prestigious Nadal Prize, Estaba en el aire is a story of feelings, personal search, advertising and business intrigues. The story takes place in the Barcelona roaring 60s when the society was starting to modernize despite the Franco dictatorship thanks to TV promotions and the elegant summer parties these characters attended under the moonlight. With a clear reference in Mad Men, advertising, journalism, and television make a first appearance in the lives of high society Barcelona.